I have always been fascinated by the history behind small towns. When I was walking downtown today, I realized that in my mind, I tend to picture our town in black and white, almost as if I am imagining old time photographs from 100 years ago. 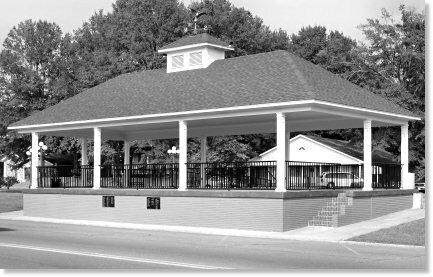 But, when I look up at the top of our town pavilion, I always see the eagle in living color, almost as if it were a United States flag flying proudly in the sky. 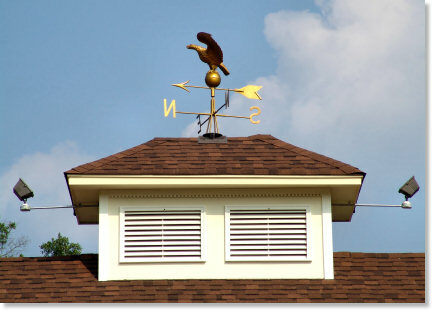 Weathervanes are so cool looking. We don’t see them around here.